Whilst some mothers face complex breastfeeding challenges like tongue tie and insufficient glandular tissue, in my experience the most common barriers to breastfeeding are much more simple. 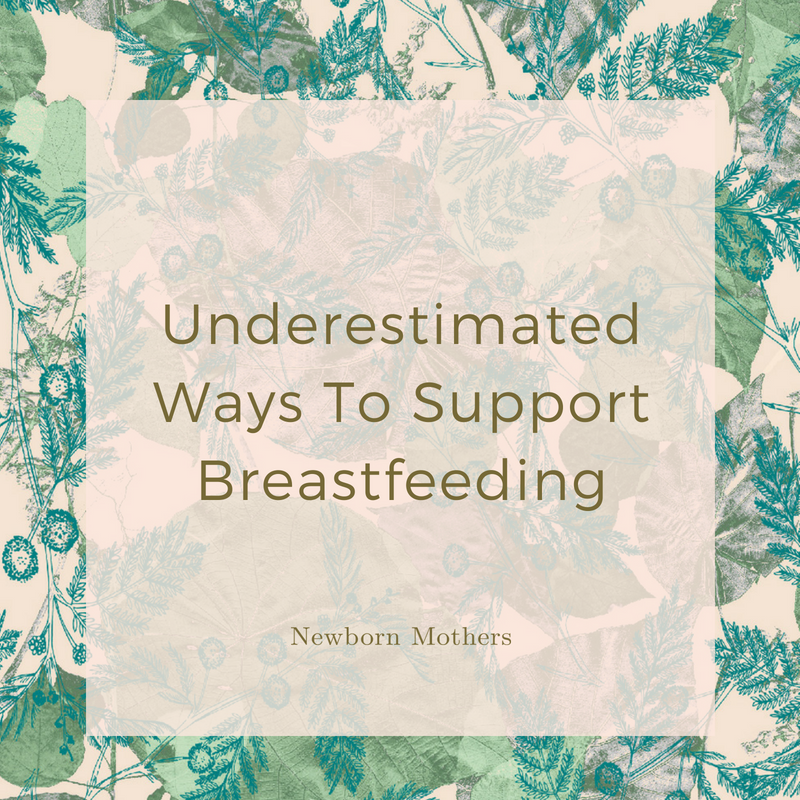 I think there is an underestimated kind of breastfeeding support that everyone can offer, even if you are not a professional or a breastfeeding expert, and even if you didn’t breastfeed yourself. So whether you are a grandmother, friend, partner or professional supporting a Newborn Mother with normal breastfeeding, here are a few of my slightly left-field suggestions! Whilst mum is breastfeeding ask her if she would like a shoulder rub if you can brush her hair or maybe give her a foot massage. What can you do to make her feel loved? Bake her a cake? Paint her nails? Arrange for some friends to visit? On that note, ask the mother is she loves her breast pump!? Always use a pump you LOVE - even if it's not the hospital-grade double electric pump everyone says you SHOULD use! Research shows that help doesn’t always help!! When partners or parents of new mothers interfere too much with baby care than it lowers breastfeeding rates. However help with cooking, cleaning, shopping and other non-baby related tasks really can help with breastfeeding. So step away from the baby, I know how good they smell, but your job right now is to do the dishes. A friend of mine who recently had a premature baby was breastfeeding at the park when she was handed a “Thank You for Breastfeeding” card. This random act of kindness meant more to my friend than the stranger who gave her the card could ever know. My friend has put immense effort into breastfeeding her premature baby, particularly since she also has a toddler and a fly-in fly-out husband. Congratulate and thank women for breastfeeding, we make it really, really hard in our culture!